Showing up for a sporting event is a necessity for everyone, but especially Superfan Captains. Being a Superfan Captain comes with a lot of responsibility, making sure the student section is alive and cheering throughout the entire game. As once done by our youngest captain Miguel Van der Mensbrugghe. He was chosen among five seniors to be a leader of the student section. “It felt good because it was nice to know that making myself look like a fool (in the student section) for two years paid off,” Van der Mensbrugghe, 11. 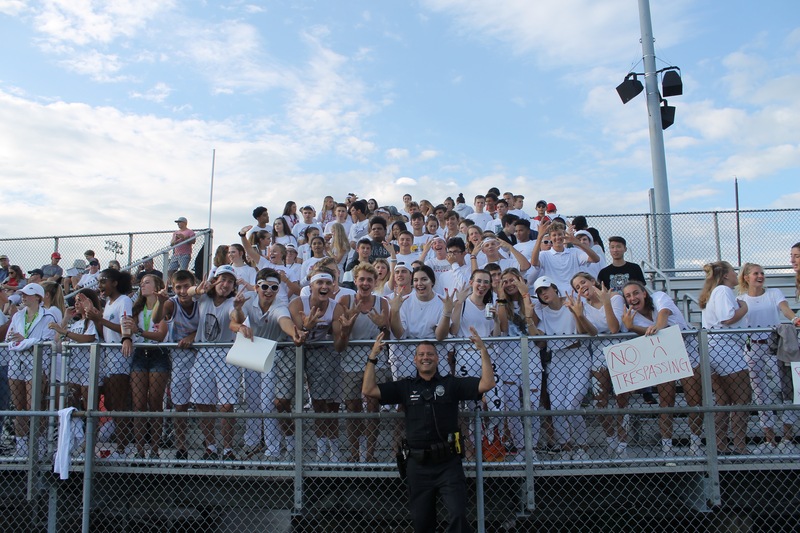 Getting students to show up for home games is not a struggle that the captains have to worry about, but the most entertaining part is the theme that they come up with. Throughout the season, the Superfan Captains come up with a theme to get the student section united. “We try having a decent theme that people would be inclined to try on,” Van der Mensbrugghe, 11. While the Sectional and Regional games were held at our very own Gorden Straley Field, this week the team travels up two hours to face Fort Wayne Bishop Luers. The environment will be different and few students will make the trip, “I would not be surprised if not many people showed up to the semi-state game, but I fully expect a big crowd at State” Van der Mensbrugghe,11. As the youngest captain, Miguel Van der Mensbrugghe, will have a year of experience leading the student section as he can learn and take one more year of spirit leadership. The first game of the year was a warm, sunny day, and there were lots of fans in the student section. As the seasons begin to change during this long journey with the football team, the weather does not want students to come to the games. This doesn’t stop our captain, Miguel Van der Mensbrugghe,11, from going to almost every game to support the team. “If many people came to the game, I would be surprised. As a captain I feel obligated to go to cheer on the team.” This week, the game being played in Fort Wayne, there will be a small outcome of fans to support our very own football team as they compete for a Semi-State title.